If you buy two sets you save 4% I've got these and they are excellent. I've labelled most things, in my office, home and classroom it's neat, effective and efficient. label anything and everything personalized with 1Plusselect chalk labels. 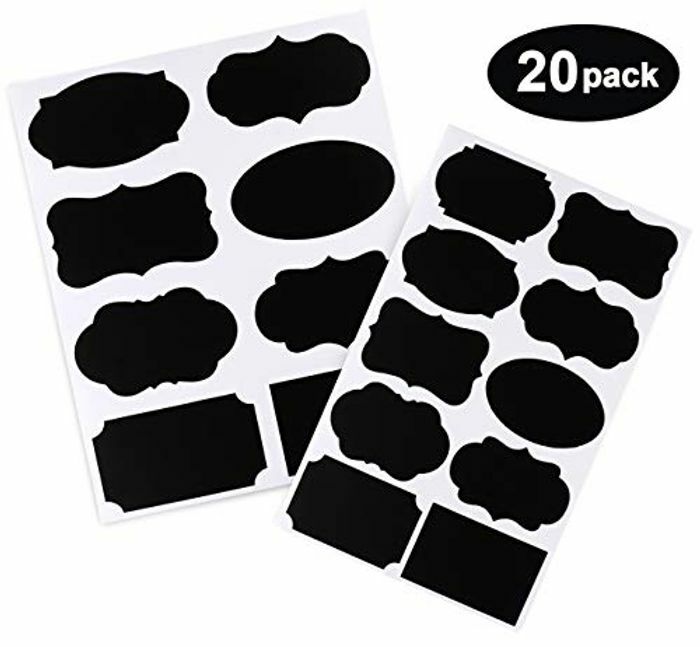 They are Premium VINYL stickers with self-adhesive backing which allowing regular chalk or any liquid glass marker to write on.The ink dries quickly and it doesn't flake off. Ideal for all kinds of your kitchen mason jars and home storing furniture. Come in 87x50cm and 60 x 40 mm two size to fit different information need. You may cut it into smaller size if you want.